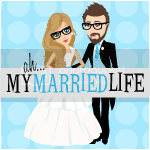 The Infertility Overachievers: National Infertility Awareness Week. April 25-May2 is National Infertility Awareness Week. It sad to say, but I never knew infertility had its own special week every year. 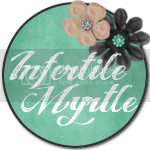 For most women who suffer from infertility, we get a very unpleasant week each month that makes us very aware. But this is NATIONAL infertility awareness week! I am so excited! I'm especially excited that we jumped back onto the infertility train when we did because on May 1st in Atlanta there will be a huge infertility conference. I just found out about this from over at Lovin Ma Soldier, and I immediately followed her link to check out the details. Here it is a link for y'all. A little info for those of you who don't want to follow the link. Attendees will learn about acupuncture, the adoption home study process, budgeting for infertility and adoption, diminished ovarian reserve/premature ovarian failure, domestic adoption, donor egg/donor sperm/donor embyro, egg freezing & other improvements, endometriosis,PCOS, healing, the grass roots adoption process, how to be your own advocate in treatment, hypnotherapy, increasing the chance of success of conceiving, international adoption, male factor infertility, mayanabdominal massage, recurrent pregnancy loss, relationships and infertility, surrogacy and yoga. I have to talk to Mike and make sure he can keep London that day, but I am planning on going. I hate the idea of going to something like that by myself though. Do any of my awesome infertility readers want to go with me? Come on, it will be fun. Nice post. I was checking constantly this blog and I am impressed! Extremely helpful information specially the last part I care for such info a lot. I was seeking this particular information for a very long time. Thank you and goIf you want to learn more about Deep Tissue Massagers Review, you visit nowod luck.